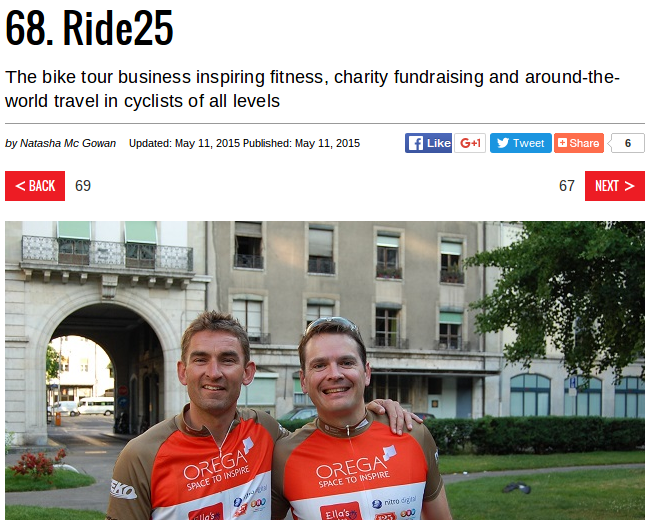 Ride25 are proud and privileged to have received coverage from some fantastic websites and publications since our launch, ranging from the top cycling magazines to national newspapers. We’ve rounded these up below – let us know if we’ve missed any! 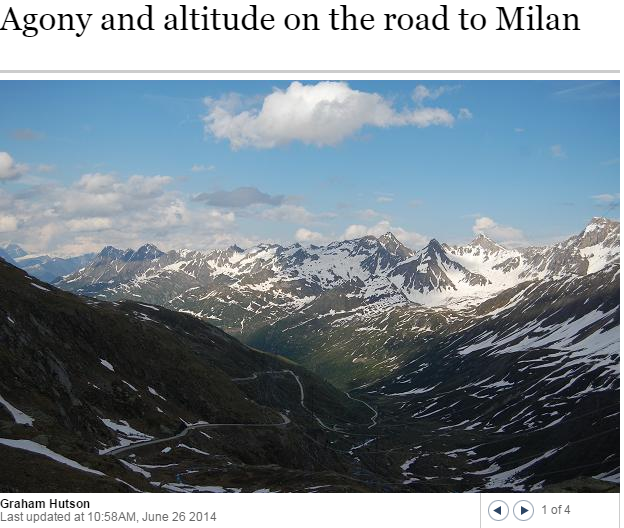 We invited Jonny Cooper, Telegraph journalist, to come on our Geneva to Milan ride. He was suitably impressed and wrote a lovely account of his experience which we still enjoy reading! Graham Hutson at The Times came on the Geneva – Milan tour too, and his account is fantastic. The piece recounts the painful climb up the Nufenen Pass (“We renamed it the Nurofen pass on account of the painkillers required after riding up it”) and the rest of the delights he encountered on the ride. Ride25 made the list of fitness challenges to aspire to in 2016 in a great article written by Susannah Butter. John also gave his two cents in an article about the Victoria Embankment cycle superhighway in London. There’s a lovely introduction to Ride25 over at the Guardian, inexplicably bolted onto the bottom of a review of the Honda Civic Tourer. Check it out here. 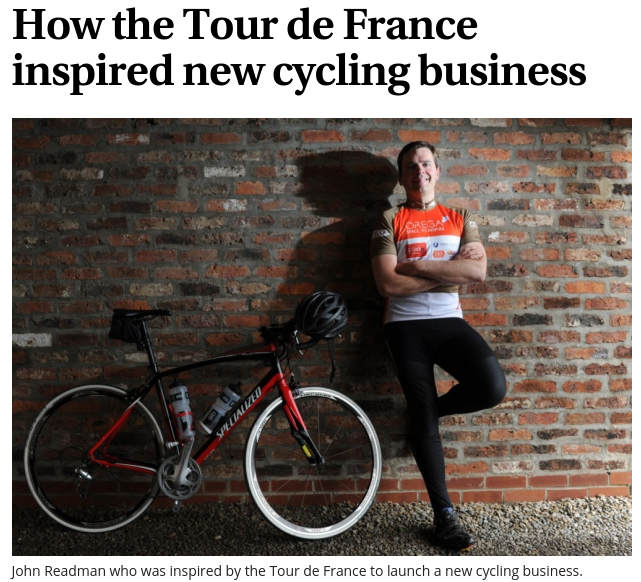 In the wake of the Tour de France’s visit to Yorkshire in 2014, Sarah Freeman at the Yorkshire Post wrote perhaps our favourite article about the birth of Ride25. Read it in full here. We partnered with the Trust to help them organise the Double Gold Tour – a fundraising ride from London to Paris. The ride was great and it was a pleasure to be involved. Read the article here. 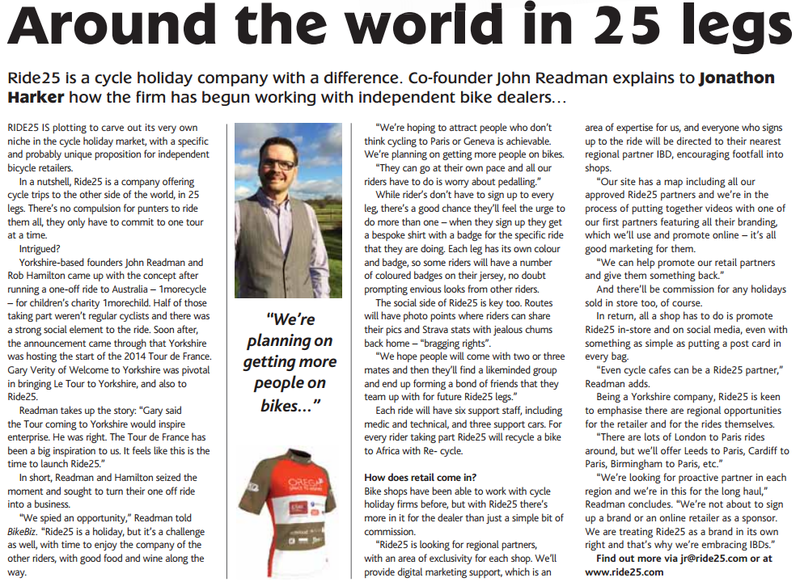 In this article Rob spoke to Lucy Wayment about the beginnings of the Ride25 journey, and where we want to be in the future. Startups also listed Ride25 as one of the top new businesses of 2014: a proud moment for us! We made #68 in their 2015 Startups top 100 list too. You can read our entry here. 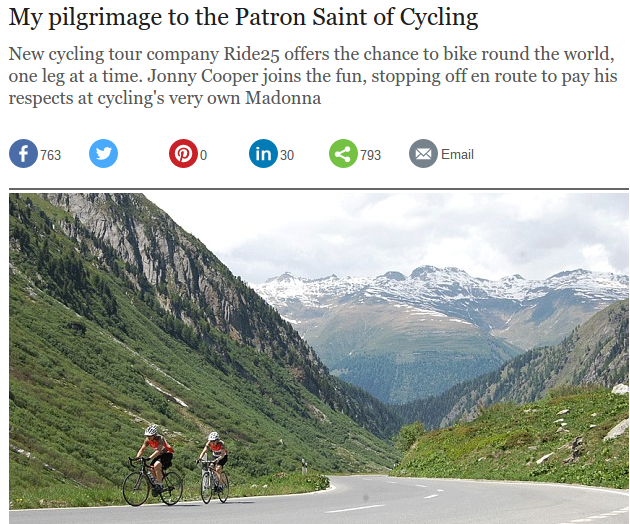 The Ride25 team got some lovely praise from Ashley Friedlein over at Econsultancy, in his write-up of the 2014 Marketing Cycle. This was an event we organised to bring together riders from Centaur Media PLC’s marketing, digital and creative brands. We’re proud to have worked with RAF Benevolent Fund in several fundraising events. 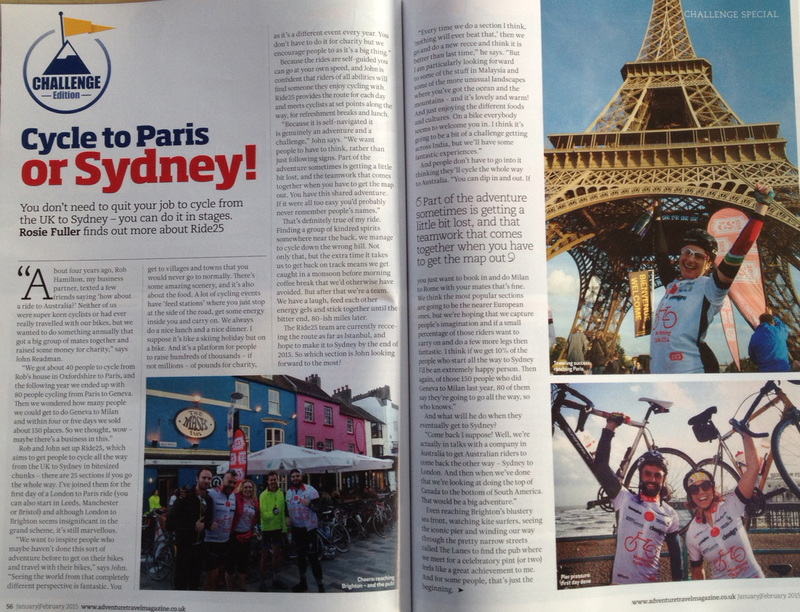 Hayley Mills over at the South Wales Argus spoke to Pete Thompson, one of the riders on the Paris to London Brompton challenge, and wrote a great article about it. 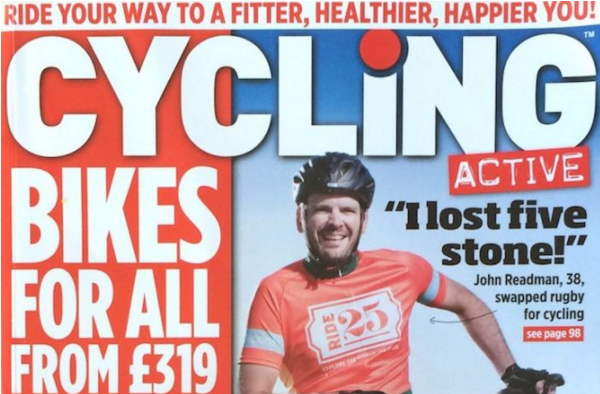 John got himself on the front cover of Cycling Active, espousing the merits of cycling and looking sharp in a Ride25 jersey. 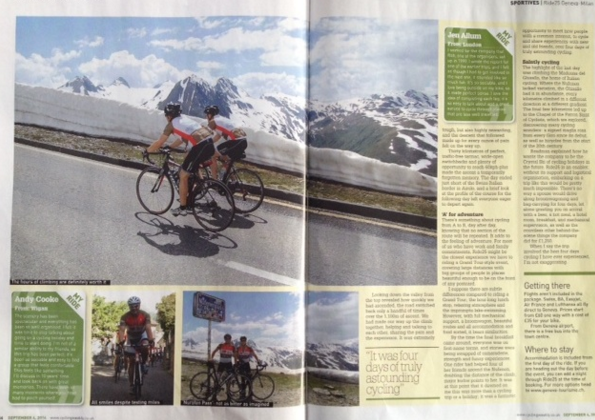 Edition 4 of the Cycling Weekly mag (September 2014) features a very flattering write-up of Ride25. Our write-up of their article (meta!) is on our blog, here. 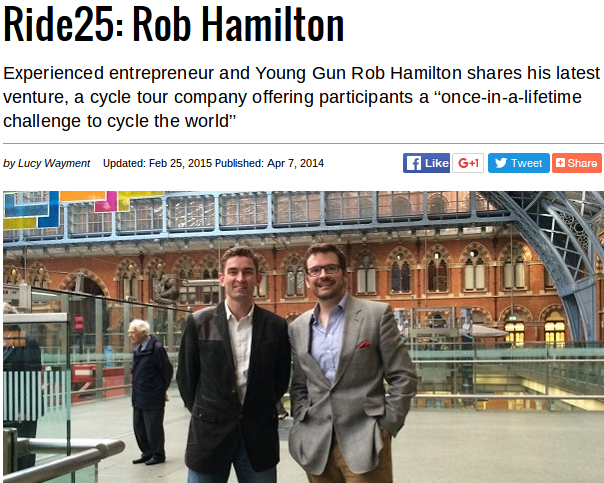 Issue 115 of Adventure Travel (January 2015) included a double page article about Ride25. The full article is available on our blog, here. 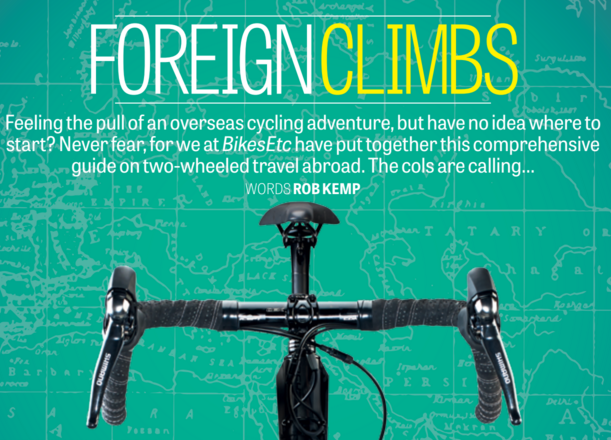 We featured in the April 2014 issue of BikeBiz’s magazine which you can download here. They also included us on the website – cheers guys! 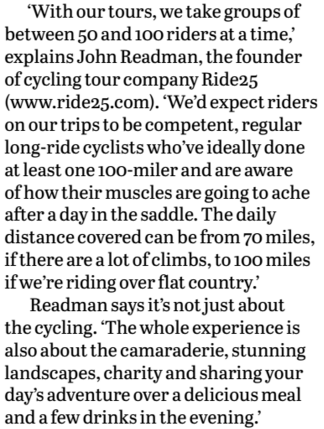 Ride25 are listed as a touring company in the Foreign Climbs magazine, with a nice little write-up to accompany the listing.